Vizag for me is nostalgia. Of summer holidays spent fighting and adventuring with cousins. Of catching the sunrise while cycling down the beach. Of picnics in the park and lazy afternoons spent picking mangoes in the garden of my grandparents’ home. So, indulging in some nostalgia, of those oft thought of summer days, I have put together a list of tourist places to visit in Visakhapatnam. From the latest attractions in the town to the secret spots of my childhood that have managed to stay that way for a long time now. Vizag, aka Visakhapatnam, a coastal town in the Eastern Ghats is not a tourist destination per se. But it is a city much loved by people of the two Telugu states and anyone who has lived there. For Vizag has a certain charm to it, a distinctive laid back vibe that is typical of a coastal town, mingled with the lingering air of the Raj era. From its anglicised names like Vizag and Waltair – the city’s most well known area alongside the beach, to its old stone buildings like the Waltair club and the Andhra University. The popular landmarks of today are a testimony to that Colonial era hangover! So, with its colonial buildings, secret beaches, one of its kind museums and scenic train journeys, Visakhapatnam has a lot to offer. One only has to look. It is the ideal destination for a quick break from the city – a leisurely weekend getaway. Despite being Andhra Pradesh’s largest city, Visakhapatnam is still just a picturesque little coastal town at heart, where locals still like to spend their evenings at the beach. And, it is the Ramakrishna Beach – or the RK Beach, as it is more popularly known – that is the beating heart of Visakhapatnam. A four kilometre stretch of golden sand beach with a clean, wide promenade is a local favourite. While early mornings are just for walkers and cyclists, it is after seven that it turns into a regular thoroughfare busy with the daily traffic. It is along this beach that the decommissioned INS Kursura docks today and stands as a one of its kind museum open to public. This submarine, a veteran of the Indo Pak War of 1971, retains its interiors as they were, along with additional installations that offer a peek into the lives of navy personnel who live underwater for half a year at a stretch, protecting our borders. Opposite the Submarine Museum is yet another museum similar in style, only recently opened. This one is housed in a Tupolev anti submarine aircraft. The TU142, which holds the distinction of being the world’s fastest turboprop aircraft to ever have been made, served in the Indian Navy too. Before being decommissioned and setup as a museum. This museum too is unique in the fact that, though there is one other TU Museum – in Russia, the country of these aircrafts’ origin, this is the only one where one can go inside the aircraft and explore. With souvenir stores and simulated game zones to go with these museums, RK Beach is an engaging destination for families. Also along the RK Beach is a temple dedicated to the Goddess Kali. Built in the architectural style of the Kali Mandir in Kolkata, this temple in Vizag though much smaller is just as striking. The best time to visit the Kali Temple is of an evening when one soak in the peaceful atmosphere of the temple, while gazing at the sea – just across the road – as the sun goes down. The Visakha Museum houses collections that showcase the history of the region and the city of Visakhapatnam. Pore over maps and manuscripts, trace a journey back in time through the period clothes, currency and weaponry that are on display here. A sprawling park of over fifty five acres, VUDA Park sits right at one end of RK Beach. A mini amusement park (sadly, now defunct), a beautiful skating rink, rolling lawns and access to the beach, once made this one of the most beloved of spots in Vizag. While the skating rink still retains its pride of place, it is the newer attractions like the musical fountain that draw the crowds to the park today. Other prominent attractions on the RK Beach are the Light House and Dolphin’s Nose – a cliff shaped like the nose of a Dolphin. There was once a children’s theatre in the city that was shaped like a Dolphin – a tribute to this very cliff; where they would screen movies from all over for kids during the summer holidays. & It remains a childhood favourite, not to sound too solemn!! Of the many beautiful beaches that dot the verdant landscape of Visakhapatnam, Rushikonda Beach is next in terms of accessibility. Getting to Rushikonda Beach -just a little further past RK Beach along the winding ghat roads that hug the coast of Bay of Bengal – is in itself a pleasurable experience. En route Rushikonda, is Kailasagiri. A landscaped garden sitting atop a hill, offering stunning panoramic views of the city of Vizag. Here is where you will find the now iconic and widely recognisable massive sculpture of the Gods Shiva and Parvati. Sitting at the foothills of Kailasagiri, just as you begin to climb the hill towards Rushikonda, Tenneti Park with its manicured lawns cut in levels into the rock face offers stunning views of the RK Beach. The most striking of Vizag’s beaches and also its best-kept secret, Yarada Beach is cloistered away from the world. Hidden by emerald green hills of the Eastern Ghats that abound it on all three sides, there is only the sea for as far as the eye can see, once you are there. Which makes Yarada the number one lazy afternoon getaway from the city. And, if one were to go beyond the beaches, Vizag doesn’t disappoint you. For the city abounds in hills and it isn’t just Kailasagiri that is picturesque. Ross Hill isn’t just beautiful but is made all the more interesting thanks to its harbour views. Also that, here, you will witness sitting alongside each other, three places of worship – of the three major religions of our country – a chapel, a temple and a mosque. Sri Kanaka Mahalakshmi is believed to the be presiding deity of the city of Visakhapatnam – starting with being the family deity of the then Rulers of Visakhapatnam to then being the one who is believed to have cured the city of Plague in the year 1917. The centuries old temple dedicated to her is one of the most important religious sites for the local Hindus. A visit to this temple that is always a bustle of colour and activity is definitely worth it, even if it is just to experience the local culture. The Sri Varaha Lakshmi Narasimha Swamy Temple in Vizag is probably the second most significant religious site in the state of Andhra Pradesh (second in terms of popularity only to Tirupati). It stands atop the Simhachalam Hill and it is believed to be where the Narasimha Avatar of Sri Vishnu was manifest. A striking temple built like a fort, it is surrounded by verdant hills. One gets to see the idol in its true form only on the day of Akshaya Tritiya. For to keep the presiding deity, Narasimha – who is known for his ferocious anger – cool, it is always covered in sandalwood paste, except on this one day. Claiming number one spot on the list of things to do in Vizag is – undisputedly, the train ride to Araku Valley. One of the most scenic train journeys in the country, the train leaves from Visakhapatnam at dawn and reaches Araku by mid-morning. Taking you through 57 tunnels that alternate between jaw dropping valley views on one side and the thickly wooded hillside on the other. Once in the valley, there is enough to do. One can walk through coffee plantations, interact with the local tribes, visit the waterfalls in the area, dig into the local cuisine and even revel in the Dhimsa Dance, which is dance form of the tribes from the region. 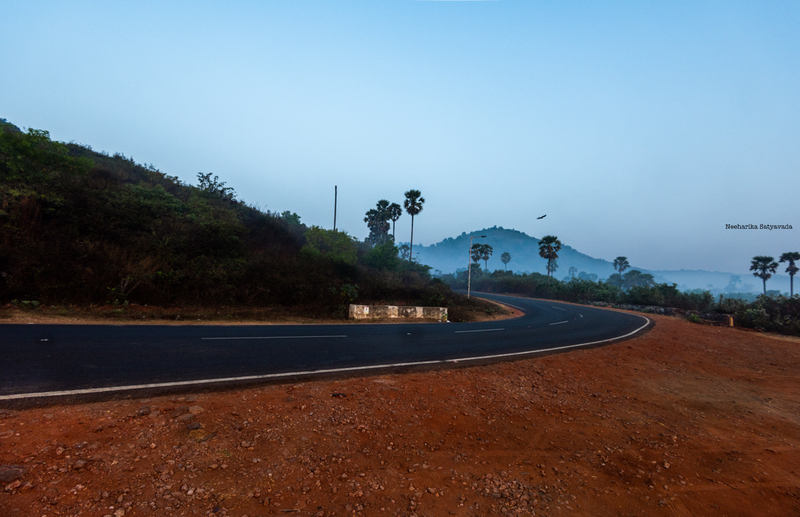 While the number of days one can spend in Araku Valley depends solely on the pace of one’s journey, the way to finish the trip would have to be via a road trip back to Visakhapatnam. With a stop over at Borra Caves. These limestone caves are one of the deepest cave systems to be found in India. Visakhapatnam has an international airport that is well connected. The city also has regular rail and road connectivity. It is an overnight train journey from Hyderabad.